What if your daily commute was an easy drive? For our military family, a brief trek homeward after work would be a welcome change of pace. Rather than sitting in a long line of frustrating traffic, my spouse and I could make plans to do other (more enjoyable!) things, like head to the beach! The convenience of a short commute is a definite plus as our military family looks forward to being stationed at Eglin Air Force Base, Florida. We took particular interest in the property listings of the charming communities that surround the base area. Come along on our house hunt! The friendly neighborhood of Shalimar, Florida, edges the perimeter of Eglin AFB and the Lake Lorraine community. A quick float across the bayou, and we’d reach the popular areas of Ocean City and Fort Walton Beach. Rather than a kayak ride, most commuters choose to cross the water via the Eglin Parkway. After driving a mile or two, you'll come upon this Shalimar house for sale. Greeted by delightful curb appeal with lush landscaping, park in the circle drive at the front of the estate. With a wide driveway and spacious 2-car garage tucked just around the side of the home, you'll be welcomed at the gracious front entry by the glossy wood floors and open concept layout of this 4-bedroom, 3½-bath manor. A pleasing palette of neutral paint colors and crisp white trim add to the light and bright feel of each sun-filled room. 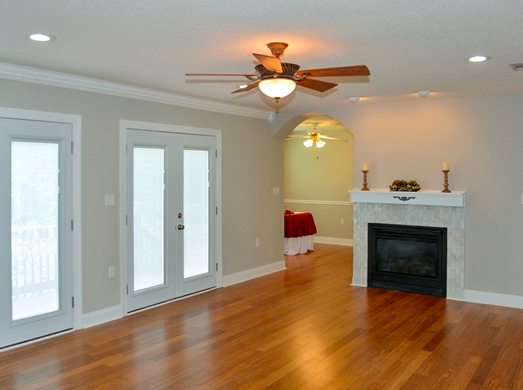 In the adjoining kitchen and dining areas, you'll find an elegant gas fireplace on the edge of the family room. It's easy to picture your own things in this space and gathering around the hearth on a chilly evening. Nearby, two sets of French doors open to showcase the verdant views of the woodsy backyard. 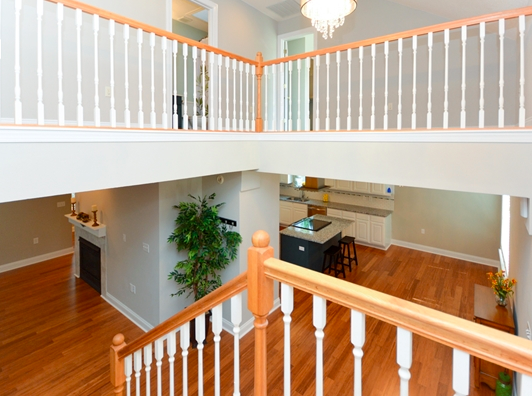 The expansive deck off this level adds to the over 2,600 square feet of living space. 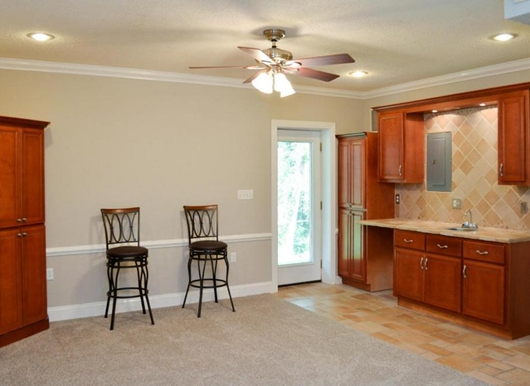 If you're looking for unique features in a home, this one has a remarkable lower level retreat. Whatever you'd call this part of the roost--man cave or guest quarters?--this generous flex room includes a full bath, studio kitchen, ample storage, and offers access to the back patio. 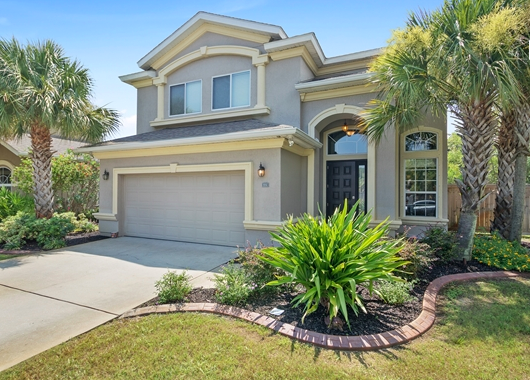 With only a 4-mile commute to Eglin AFB, it’s easy to see why this fantastic Florida villa is one of MilitaryByOwner’s premier properties for sale. A breeze off the Gulf Coast carries you about 15 miles west to Hurlburt Field and Santa Rosa Island. 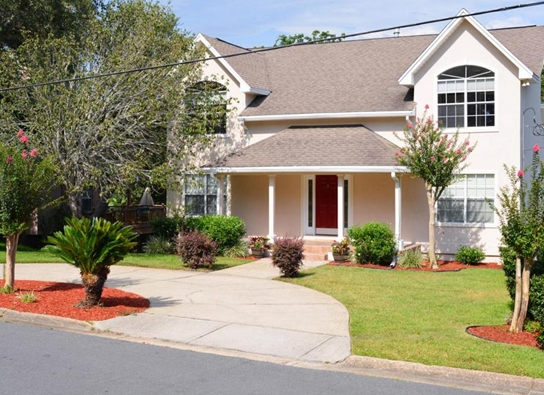 Explore this nook of the Florida panhandle to find the desirable Solimar neighborhood of Mary Esther, Florida and this MilitaryByOwner home for sale. 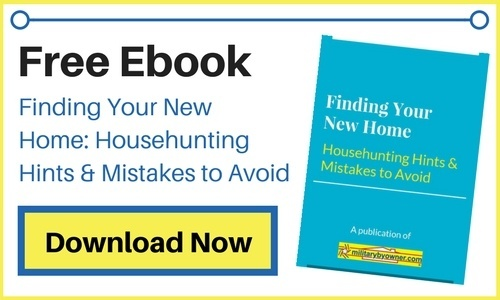 *This home is no longer listed. 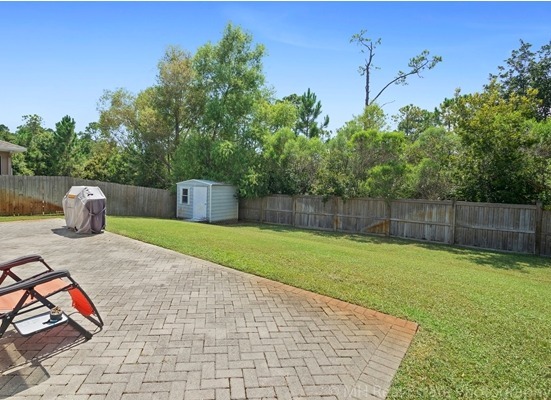 Pulling up to this house, your kids will be drawn to the fenced backyard and the grand amount of space to run and play. Lined with lush trees, this backyard offers both privacy and the peace and quiet of nature. Ideal for entertaining, the adjoining patio space welcomes the opportunity for outdoor living. With the cheerful Florida sun shining for most of the year, imagine your family dining al fresco! As you venture indoors, your whole tribe will be impressed with the sky-high ceilings and spacious vibe of this over 2,300-square-foot residence. The premium tile flooring throughout the main layout adds to the limitless feel. Follow the stairs to the upper level to discover deep closets in each of the bedrooms and a well-appointed bathroom down the hall. Behind the elegant double door entry, explore the master bedroom suite. From the trey ceiling to the designer carpet, loads of luxurious details fill this blissful bedroom retreat. 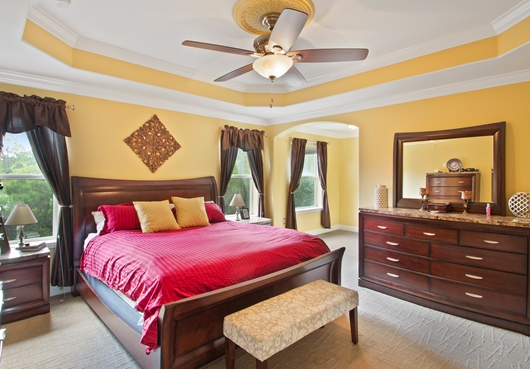 Note the architectural details of the master bedroom as it leads into the generous master bath. The effervescent paint colors throughout the suite bring a sense of Florida sunshine to match the abundant natural light. 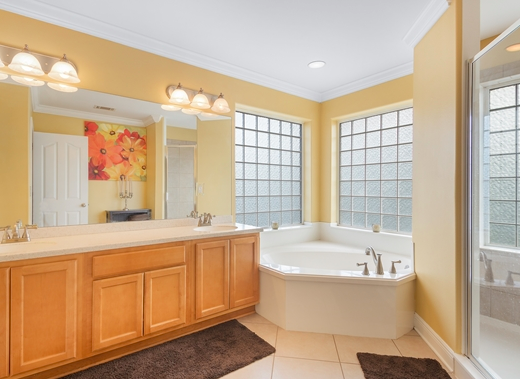 All of the spa-inspired details are present: double vanity, sleek shower, and soaking tub. Trying to decide if a Gulf Coast home would be the best fit for your family? Take a look at these other MilitaryByOwner listings in Shalimar and Mary Esther!